Recycle your unwanted scrap metal. Depending on the material, amount, and a few other factors, recycling your metal scrap may just pay off! Plus, it's the right thing to do for our enviorment.We provide scrap metal recycling services to Eau Claire, Chippewa Falls, and the surrounding communities. Call 715.720.9311 for a quote on scrap metal services today. Whether you have a broken refrigerator or a graveyard of old farm machinery, we can help you get rid of your junk metal responsibly. We'll even pick it up so you don't have to worry about hauling it anywhere. Plus, you'll have the satisfaction of knowing that the material will be responsibly recycled, with no rusting metals sinking into the earth, leaching toxic poisons into the environment. 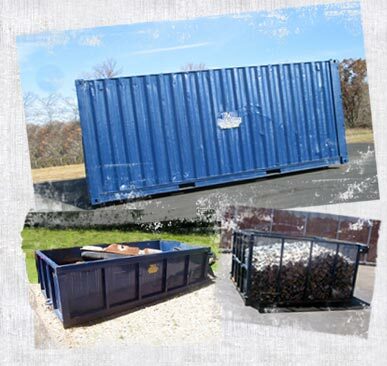 Need a dumpster for commercial or industrial use? No job is too big or too small for T&R Recycling. Whether you need the dumpster for a one-time project or would like to contract with us on a regular basis, you'll find we offer excellent customer service. With various container sizes ranging from 6-30 yards and pick-up options to choose from, it's easy to find the size that works the best for you. Contact us today to learn how using our services can practically pay for itself. Recycle your production scraps, reduce the amount of waste your facility generates, and cut costs. Are you receiving top dollar for the metals you scrap during your production process? We offer various size boxes and a pick-up schedule that is customized to meets the needs of your business. Contact us today to learn about our manufacturing scrap metal recycling services.